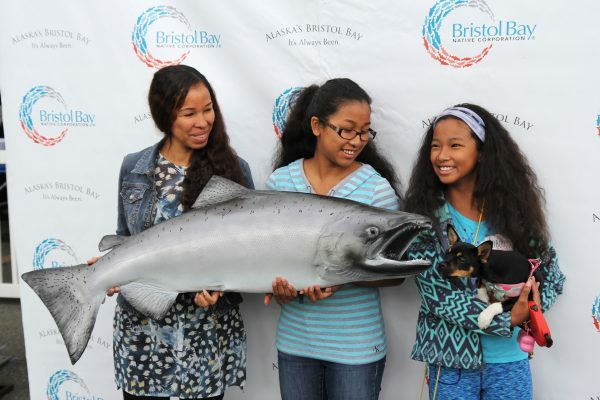 On August 10, the state celebrated its first official Alaska Wild Salmon Day. 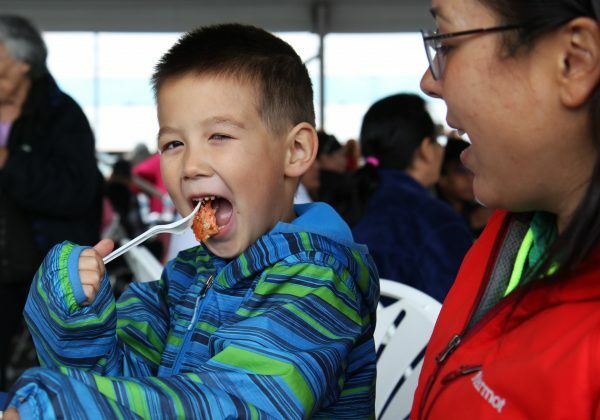 The feel-good day is focused on a fish that means many things to residents, said attendees at a community salmon bake hosted by the Bristol Bay Native Corporation in Anchorage to mark the occasion: It’s food that fills the freezer, a living and a way of life and a critical piece of the state’s economy. Bryce Edgmon, the Dillingham representative who sponsored the bill marking the day, said it’s also about reminding Alaskans that salmon is a resource that needs protecting. He said people from his region have worked hard to keep salmon ecosystems intact. “That was a very important component of the bill, and we got a lot of support for it,” he said. The mood at the cookout was one of appreciation. Out of the hundreds of people who came to fill their plates, many grew up fishing on Bristol Bay, and they had a lot to say about what it that meant to them. MaryAnn Jones said she got a new appreciation for the local bounty when visiting family in Virginia. She just had to have her wild Alaska salmon, she said, and she struck out at Costco and Sam’s Club, where she only found farmed fish. Eventually she got what she was looking for at a specialty store—for $36 a pound. Jones said her love of salmon started early, when she helped her family with their catch in Naknek. 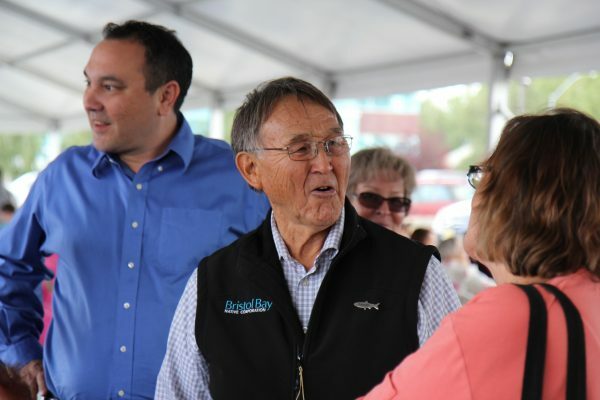 Bristol Bay Native Corporation Board President Joseph Chythlook said that if salmon is indeed always going to be there, people need to stand up for it—on Salmon Day, and every day.